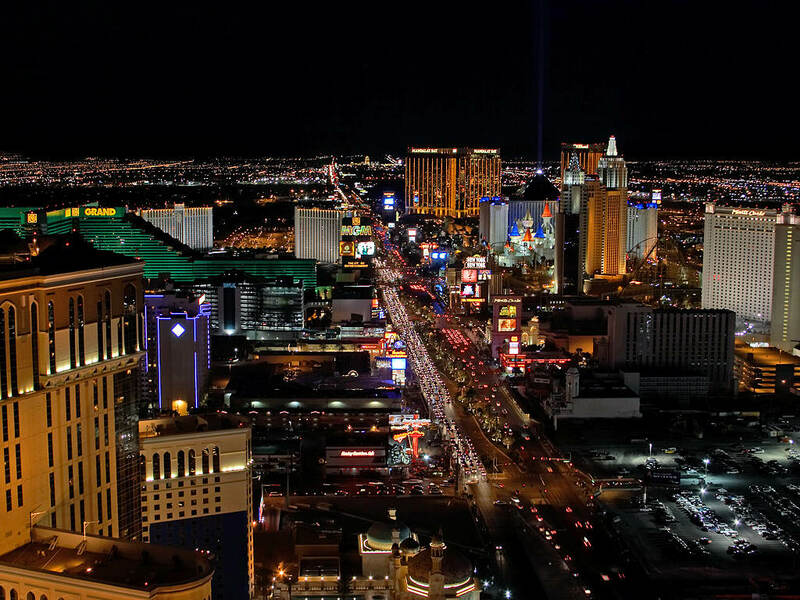 If there is one atypical American city, it would have to be Las Vegas. While most people come to gamble and forget about daily life for a while, many others see Las Vegas as a perfect place to raise a family. Ads for potential homeowners show green golf courses, water-based landscapes, and life on the edge of natural surroundings. The temperature is warm, it rarely rains, and the scenery is beautiful. The city in the middle of a desert is a lush oasis of large casinos surrounded by housing developments. What Las Vegas does best is create visions.